The stars have arrived and the mood in Lapu-Lapu City has started to become festive as we approach Ironman weekend. Sun Life Financial Philippines will once again be part of the Ironman 70.3 Race in Cebu this Sunday, August 6. 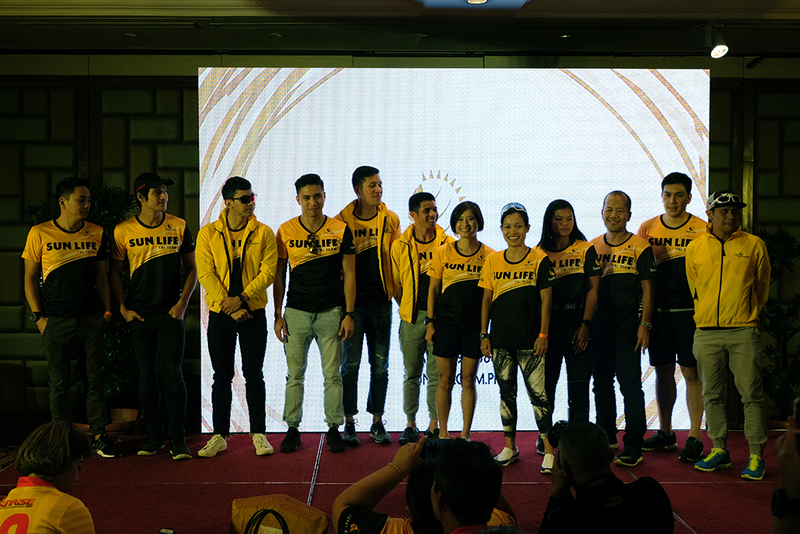 On its fifth year, the Sun Life Triathlon Team will be fielding a total of 13 racers in the Asia Pacific Championship, to be led by its brand ambassador Piolo Pascual, Blood Sisters actor Enchong Dee, and its very own executives. Headline photo (L-R): Toniel Ty, Piolo Pascual, Enchong Dy, Jan Chiu, Karl Villalonga, Alfred Diacosa, Charlie Sy, Laarni de Guzman, Bea Grabador, Toots Malapad, Michael Enriquez, Ged Custodia. Sun Life brand ambassador Piolo Pascual. Sun Life Chief Investments Officer Michael Enriquez will also see action on the bike, alongside Sun Life Business Development Manager for Parternship Distribution Toots Malapad and Sun Life Sales Training and Development Head Ged Custodia. Iñigo Pascual and Enchong Dee look on as the Cebu media asks questions during the press conference. Former national team member Jan Chiu (swim) together with Sun Life Digital Transformation Specialist Karl Villalonga (bike) and TBR Sun Life Dream Marathon 2017 top finisher Alfred Diacosa (run) will comprise the third team, while an all-female team will consist of elite athletes Bea Grabador (swim), Laarni de Guzman (bike), and Charlie Sy (run). “It’s a thrill for us to once again be a part of Ironman 70.3, which is a perfect venue for us to highlight Sun Life’s health and wellness thrust,” Sun Life CEO and Country Head Benedict Sison said. Fred Uytengsu, owner of Ironman organizer Sunrise Events, Inc.
Enchong Dee shares how he manages to maintain a healthy lifestyle despite his busy schedule. See you at the streets this weekend!